We use for product packing and document pasting I'm satisfied. As it is easy to peel off of course with appropriate adhesive power It is very easy to use. This review is about item#34571896. It is a standard P-cut tape. I will use it without permission. This review is about item#19658555. It is useful because it can be stuck and peeled off repeatedly. This review is about item#34571923. It is used for curing (taping) high pressure hoses for drainage pipe cleaning. The adhesive is so strong that the hose won't go out and I'm very happy. As it is broad, it is recommended. This review is about item#7325902. Price Quality is good. It is easy to peel off even when stuck. It can also be used for curing. This review is about item#8447896. I will bring it with you on business. Used to bundle the cables or fix the measuring instruments during work - use is varied, but it will remain peelable and clean after the end, so you can use it without much choice of location. I think it is very convenient. I am worried that inventory will always be low, stock is necessary. This review is about item#6904721. I have used 50 or more so far. For everyday use, there is no problem, Put a poster etc. on the sun glass and peel off about 3 months later It will not peel cleanly and the tape will remain. We are using it for a little reinforcement. I think whether there is nothing because there is a tackiness in the middle. Moreover, it is convenient that you do not have to use scissors in order to easily cut by hand. However, when reinforcing, firmly reinforce parts, moisture, dust etc. It will be peeling off if you do not wipe it, there are also inconvenient places. This review is about item#7325893. I use it to seal the bag as purchased in Bazaar. It is easy to cut by hand and adhesive strength is also perfect! Every year it is an essential item at the time of bazaar! It is easy to cut by hand, and it is very handy. Easy and convenient. This review is about item#34571914. There is no glue residue, it is saved because it can be cut easily by hand. This review is about item#87105137. It is a stable product that can be stuck firmly. I also tried other products, but this product is still easy to use and repeats. There are many variations of colors, so you can distinguish them from other companies. This review is about item#06904721. I use it as a stand-alone item somehow. It's also nice to tear. This review is about item#34571932. It has both adhesiveness and peelability. Even in summer and winter, there is stable adhesion and high quality. You can cut it with your hands, or you can cut it with a cutter. The color is yellow specialty. It can be written not only for architectural curing but also with magic etc, so it is useful as a warning note and a cautionary note. This review is about item#8447914. If it is a cellophane tape, it may break the air packing at the time of peeling off, but it is very useful in applications such as air packing reuse etc. because it is not a product here. I want a special tape base. If it is a tape base for cellophane tape, it feels a little difficult to cut. But I think that both price and quality are good products. The car has a Honda Stream RN 4 for over 10 years and uses this oil for exclusive use at about 5000 km in exchange for all seasons, and it also carries out long distance high speed driving, but there is no problem for now. Response is good and quiet, so it's a little expensive but I like it. Oil of 0w - 20 tried using the castor edge so far, but it is hard and dandruff is bad, does the oil get worse from the position exceeding 2000 km? The fuel economy gets worse. Now it is strange that the characteristics are completely different though BP Castrol is the same company. Mobil 1 does not feel like buying because the feeling of the engine is between the castrol edge and the BP premium and there is no place to think that the bad place is also very good. Edge etc. become torqueful with a delicious power band, it is hard to get on with Dokkan turbo like, but with this oil it will be smooth from launch, the power band torque will also be flat, easy to get on and the movement of the tachometer's needle is pleasant, that part You may feel it, but it feels like eco sports oil than oil singing strong protection. Because it steers comfortably with dandruff, fuel consumption is deteriorated, but vibration also decreases, there is no valley of torque, power feeling personally, I like it and I am using it. Adhesion is moderate, it is just right to display on tape with magic. It is used for identification in the factory. It is easy to cut by hand. To be able to write letters with magic. The thing that peeled off is beautiful. It is very useful. I use it when packing goods with bubble wrap etc etc. Also, when sticking the punch carpet with a double-sided tape for exhibition on the floor, I will stretch this tape first. 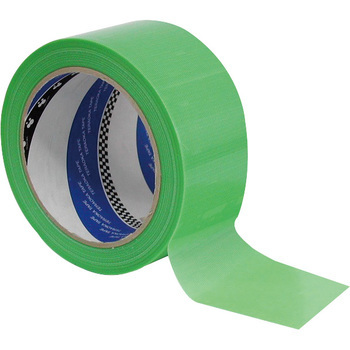 Because floor double-sided tape is strong, tape is indispensable for places where flooring and peeling etc. are likely to remain. It is good that it can be used for many purposes. I think Cospa is also the best. We are always in the car. The color is translucent white is easy to use. This review is about item#08447896.